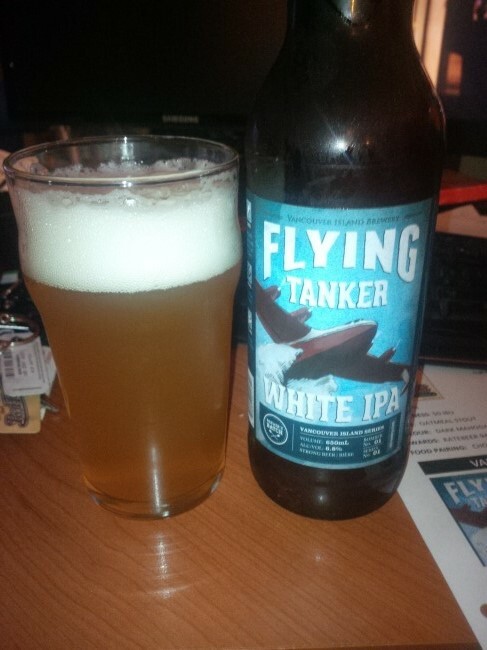 From Victoria BC’s Vancouver Island Brewery comes their new limited release “Flying Tanker White IPA”. This White IPA pours an unfiltered golden yellow with a white head. The aroma consists of wheat, yeast, citrus and floral hops. The flavour is of wheat, citrus, yeast and a good hops bitterness to finish it off. The alcohol content comes in at 6.8%. This is a very well balanced beer managing both the white ale and the IPA quite nicely. I would recommend picking up a few bottles of this for a hot summer day! Commercial Description: Much like Vancouver Island’s aerial firefighters, this twist on a traditional IPA will extinguish your thirst. This Bomber packs a full payload of hop power delivered on target with the smoothness of wheat malt. With a complex hop flavour balanced in flight with notes of fruit and spice, this beer isn’t just for emergencies. 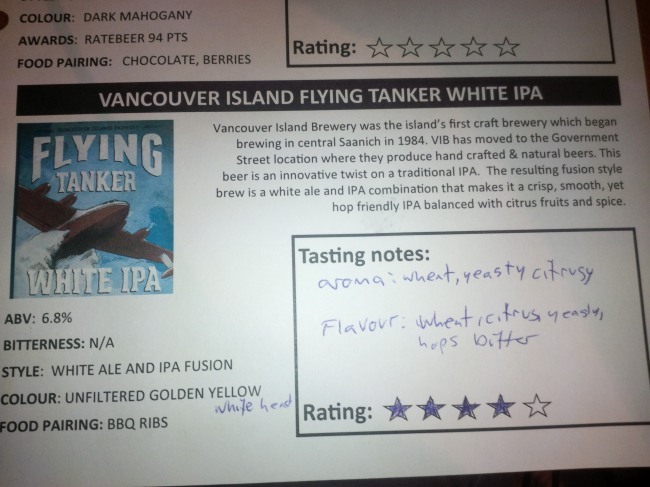 This entry was posted in India Pale Ale, Wheat Ale and tagged bc, bitter, bitterness, canada, citrus, hopped, hops, hopy, india pale ale, IPA, vancouver island, vancouver island brewery, victoria, wheat, wheat ale, white ale, white india pale ale, white ipa, yeast, yeasty. It seems like the White IPAs are getting better and better! The Flying Tanker it right ip there! I totally agree. The White IPA’s are great.